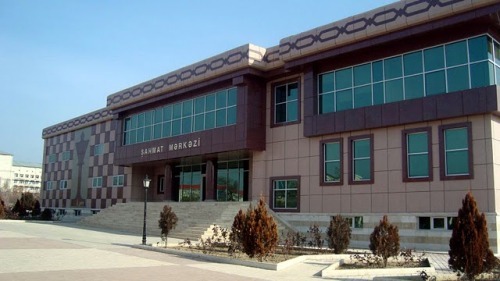 The International Chess Festival Nakhchivan Open 2014, dedicated to the memory of Heydar Aliyev, is scheduled to take place from 4th to 12th May at the Nakhchivan Chess Center in Nakhchivan, Azerbaijan. The Festival is organized by the Azerbaijan Youth & Sport Ministry, Azerbaijan Chess Federation and Nakhchivan AR Chess Federation. Last year the winner was the late GM Igor Kurnosov. The players will be seeded in Tournament A if rated above 2250 FIDE (For Women above 2100 FIDE), while the lower rated players will compete in Tournament B. Both groups will be played over nine rounds of Swiss system. There will also be Tournament C for U12 juniors. Top prizes in the Tournament A are: 10,000$ + cup/ 5000$/ 3000$/ 2000$/ 1500$/ 1200$/ 1000$ etc. There are 30 regular and many special prizes.